Arriving by car? Follow the signs, Great Orme Mines is well – signposted from the A55 and all other approach roads into Llandudno. Follow the “Ancient Mine” signs. After the initial signs, you need to look out for the symbol. Our postcode is LL30 2XG. However, please note some satnavs may take you the wrong way when driving up the Great Orme. If using a satnav, follow its directions until you are driving up the Great Orme but don’t turn left until you see our sign. For an even greater experience, ride on the Great Orme Tram. 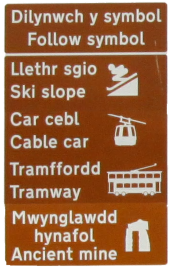 For amazing views of The Great Orme, use the cable car. There are a number taxi firms operating from Llandudno.